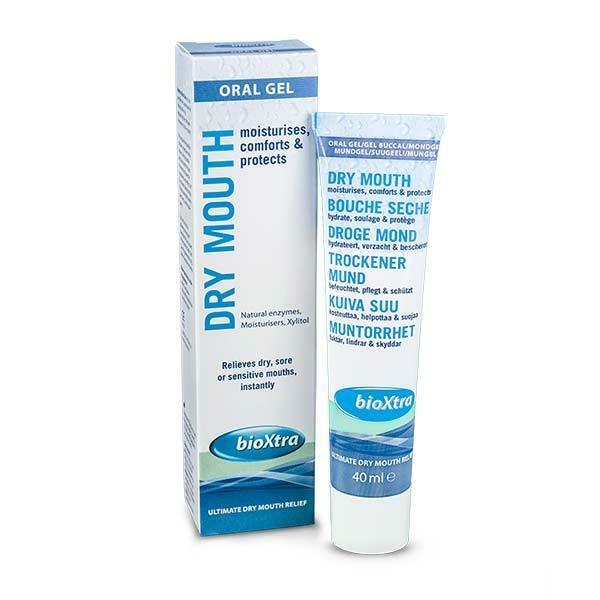 BioXtra Moisturising Oral Gel contains intense moisturisers to lubricate sensitive, dry gums, quickly soothing the sensation and discomfort of oral dryness for hours at a time. The unique formulation helps maintain the pH essential for healthy teeth and gums. BioXtra is especially recommended for nightime use, and under dentures.